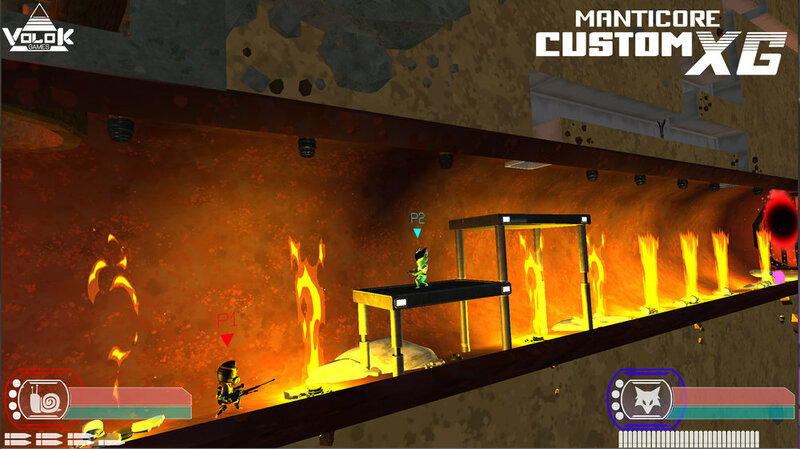 Manticore Custom XG is a fast paced co-op shooter drawing inspiration from the great platformers of the 90’s while incorporating the popular RPG elements that we have all grown to love today. We can't say for sure what they want with Earth. Only that they are obsessed with our ancient megalithic structures and the civilizations that created them. High density readings of Alien life have been picked up at The Pyramids at Giza, Lake Titicaca, Gobekli Tepe, Pumapunku, and the Antarctic. Why are they here? Earth has been taken over by a vast array of hostile EBEs(extraterrestrial biological entities) including Grey Reticulans, shapeshifting Reptoids, Mantis people, Nordic cyborgs, and more. Cryo Upgrade Synthesis Tactical Operations Macrobiome or "CUSTOM" for short refers to Earths final defense against the hostile invaders. This highly debated method of creating super soldiers through genome therapy and experimental black budget technology allowed us one last chance at defending our glorious planet. As a CUSTOM it is your job to find out what the invaders seek with Earth’s pyramids and uncover their dark Alien agenda.